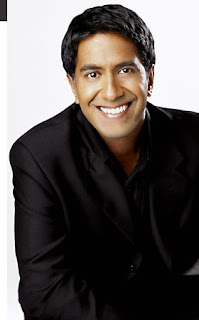 I Me My: Sanjay Gupta's Road to Fame: From Doctor to Embedded War Reporter to TV Health Advisor to Chief Health Educator of the USA? Sanjay Gupta's Road to Fame: From Doctor to Embedded War Reporter to TV Health Advisor to Chief Health Educator of the USA? What does it take to be 'Surgeon General' of the USA? "The Office of the Surgeon General, under the direction of the Surgeon General, oversees the operations of the 6,000-member Commissioned Corps of the U.S. Public Health Service and provides support for the Surgeon General in the accomplishment of his other duties. The Office is part of the Office of Public Health and Science in the Office of the Secretary, U.S. Department of Health and Human Services. The Surgeon General serves as America's chief health educator by providing Americans the best scientific information available on how to improve their health and reduce the risk of illness and injury." He would seem like a great pick to begin with. But there are reservations about him from some quarters. I noted with much dismay his performance on CNN with Michael Moore, where he contradicted some facts and then he and CNN had to apologize. Rep John Conyers issued a statement against his proposed nomination, but I think he may sail thru. Good to see an indian in this top post, hope he does a good job. He is a very good looking young man a very accomplished as well. I've seen him on CNN and am impressed by the way he seems to be interested in not just health, but all kinds of issues. I can only hope he is a bit different from this photo. This smiley guy looks like someone selling toothpaste or low quality garments in a fashion boutique.